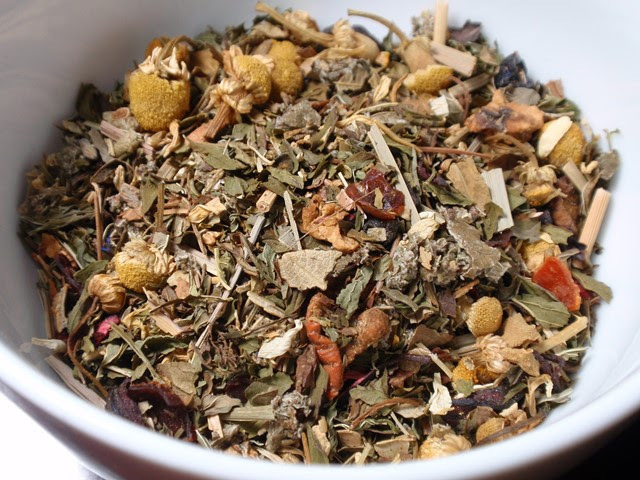 Product Description: Hibiscus,chamomile and berries marry with mint and a myriad of other herbs, for a flavor that dances across the palate and is a wonderful complex flavor. 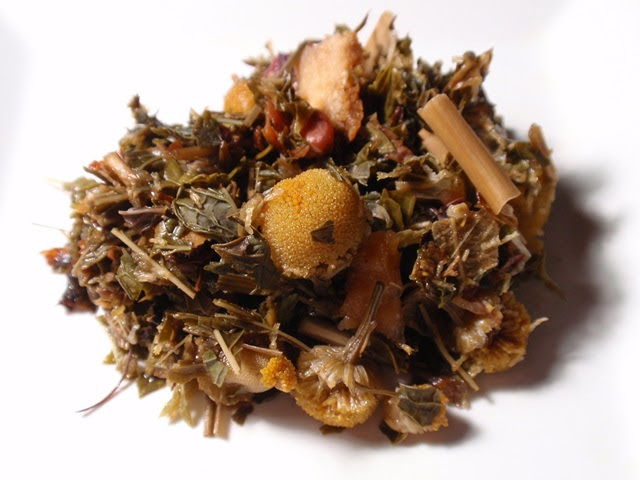 The dry leaf blend includes hibiscus, chamomile, mint, and berries. 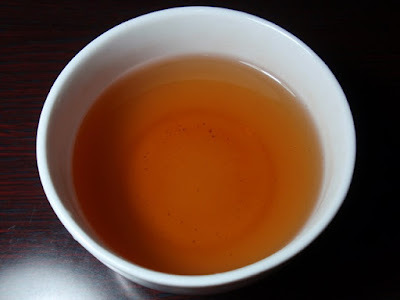 The orange amber infusion has a sweet aroma and taste of refreshing mint, smooth chamomile, and a hint of tart berries. The aroma and flavor remained bold and refreshing throughout three steepings while the color lightened slightly. The minty chamomile finish lingers long after the last drop has been enjoyed. I'm looking forward to trying this as a cold brew, as well. Heather, thanks for the review of our Star Spangled Herbal - its actually blended up right here in Seattle by Barnes and Watson - it's a true herbal favorite - a little something in it for everyone to love!